New settings begin rolling out worldwide, allowing some aspects of offline access for Gmail. Gmail's new mode, which allows you to use your email account even when you're offline (sort of), is slowly making its way towards users. 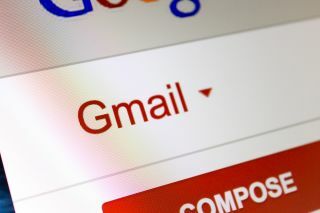 The Offline Mode works on a simple principle – whenever you connect to the internet, your Gmail account gets synchronised. That way, when you're offline, you can do everything you'd usually do when connected – you can read emails, organize your inbox, even reply and send new messages. These, however, will have to wait until you're connected, but when that happens, the sending / replying happens automatically. There are a few conditions to be met before you can use the feature. First and foremost, you'll need to activate the new Gmail, by clicking the Options menu, followed by the “Try the new Gmail option”. After that, go back to Settings and look for the Offline tab. If it’s not there, then you’re out of luck and need to wait a bit more until the feature makes its way towards you. If it indeed is there, all you need to do is activate it. Another prerequisite is the browser – you need to be running at least Chrome 61. For years now, Google has been trying to rethink email. After Gmail, it had the short-lived Google Wave project. Then, it had the Inbox, which also didn’t really shake email’s foundations. It seems as Google is now looking for more of an evolution, instead of a revolution.